According to the American Diabetes Association, almost 400,000 Arizonans currently suffer from diabetes and the numbers are growing. In the face of this sobering statistic, Desert Diamond Casinos & Entertainment is rallying the community to stop diabetes and support those living with the disease. As Southern Arizona’s leading charitable sponsor, Desert Diamond Casinos has partnered with former U of A superstar Joseph Blair and the Blair Charity Group to raise funds for the American Diabetes Association, through the Desert Diamond Eagles & Aces Man Maker Challenge on Friday, Sept. 26. Desert Diamond Casinos is a longtime partner of the American Diabetes Association, which funds research to combat diabetes, conducts public outreach to prevent the spread of the disease, and provides services to those living with the disease. With the prolonged economic downturn stretching the resources of nonprofits everywhere, support from companies like Desert Diamond has grown increasingly vital to their continued operation. The Desert Diamond Eagles & Aces Man Maker Challenge will combine a day of golfing and bowling fun, as well as poker excitement, all for a good cause. The event kicks off with a breakfast and a 7:30 a.m. shotgun start at Randolph Dell Urich Golf Course in Tucson, where two-person teams will compete in a best ball format golf tournament. Immediately following the golf tournament, players will turn in their scorecards and head over to Cactus Bowl, A Vantage Bowling Center. The two-person teams will take on two games of bowling while enjoying lunch and drinks. After bowling, teams will roll over to Desert Diamond Casino & Hotel for the $1,000 jackpot poker tournament. After the poker tournament is completed there will be a buffet style dinner and awards ceremony. The winners for the golf, bowling, and poker portions with be announced, as well as the twosome winners of the entire 2014 Desert Diamond Eagles and Aces Man Maker Challenge!! Guests will receive a complimentary wristband for the casino’s Monsoon Nightclub so they can choose to continue the festivities long into the evening! 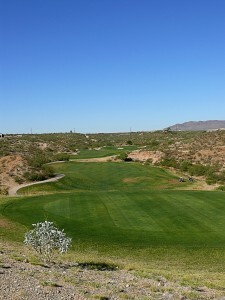 520-303-3610 or online at www.EaglesandAces.com. If you can’t make the tournament, there are other ways to join Desert Diamond Casinos & Entertainment on their mission of giving back, such as volunteering in your own community or supporting the local charity of your choice. For information on the latest happenings and events that Desert Diamond is sponsoring, visit the Desert Diamond Casinos Facebook page, www.facebook.com/DDCAZ, twitter feed @DiamondCasinos, and website, www.ddcaz.com. If you are nonprofit organization or government entity and would like to apply for Desert Diamond Casinos & Entertainment grant funding, please visit the ‘Community’ page of the Desert Diamond website at www.ddcaz.com/index.php/misc/community. Working together, we can make life better and healthier for all of us in Southern Arizona.